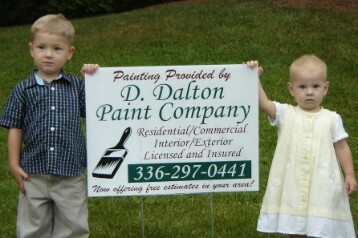 D. Dalton Paint Co. has been serving the triad with custom residential repainting since 2001. We specialize in high quality workmanship and customer service on every job, no matter how big or small. Thorough surface preparation, top quality coatings and careful application are all combined to guarantee a GREAT paint job every time. Our attention to detail is what sets our company apart. We always take the time to do the job right. So, when details count, call D. Dalton.